If built, VW's electric SUV would return to the spirit of the original off-roader aesthetic with simple lines, hard-wearing interior and washable seat covers. "There are no producers in this sector yet, [building] a robust electric car that loves scratches and wears them as a badge of honor," VW’s head of strategy, Michael Jost, told Germany’s Autobild magazine. Jost commissioned designers to sketch out how the car might look to generate enthusiasm within VW to build the car. 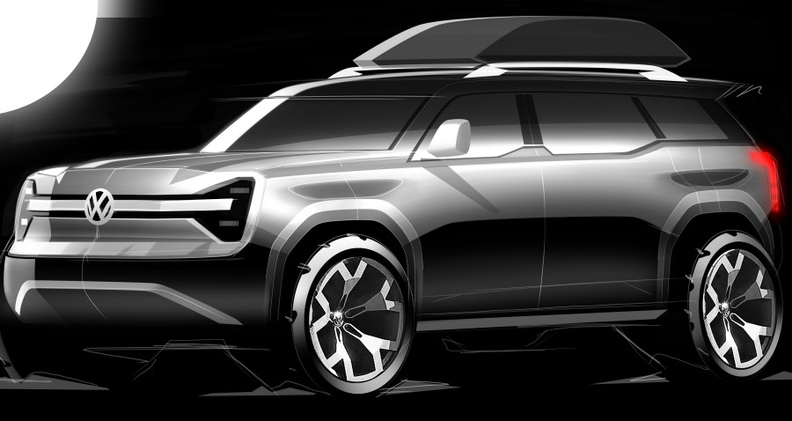 While many modern SUVs have a round look to appeal to customers who mainly drive them in urban areas, Jost’s plan is for VW to offer a chunky vehicle designed to travel off-road. He said the car would return to the spirit of the original off-roader aesthetic with simple lines, hard-wearing interior and washable seat covers. If VW approves the model, it would join the automaker's upcoming family of full-electric cars sitting on the new MEB platform. The platform allows either all-wheel-drive or rear-wheel drive and will be used to underpin 27 full-electric vehicles through the VW Group by the end of 2022, the company has said. Production of the Volkswagen I.D. hatchback, the first vehicle based on the MEB platform, will begin in Zwickau at the end of 2019. VW has called MEB “one of the most important projects in the history of Volkswagen,” ranking it alongside the Beetle or the Golf. If agreed, the VW electric off-roader would compete with the Rivian R1S electric SUV, unveiled at last year’s Los Angeles auto show. The Rivian has similarly blocky styling that recalls that of traditional off-roaders and will be launched in 2021, coming after a pickup based on the same platform. A new-generation Land Rover Defender will be launched later this year. It is not expected to have a full-electric version. The VW model could also lure Jeep buyers and potential customers for the Bronco 4x4 that Ford plans to revive in the U.S. in 2020. The Bronco could come to Europe to expand Ford's lineup of specialist imported cars, which includes the Mustang performance sports car.